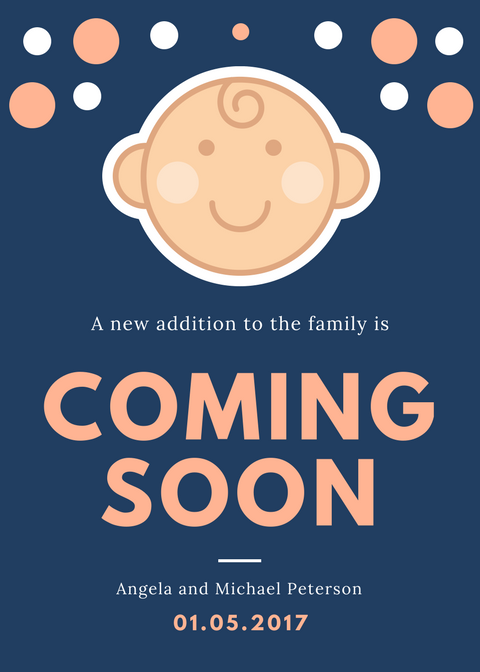 Breaking the big news about your new bundle of joy should be an unforgettably exciting experience. 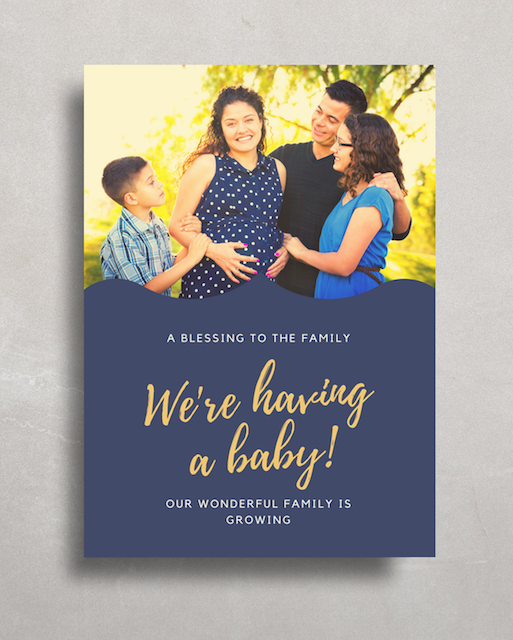 Browse through our collection of excellent imagery and designs to find the best ideas for your pregnancy announcement! 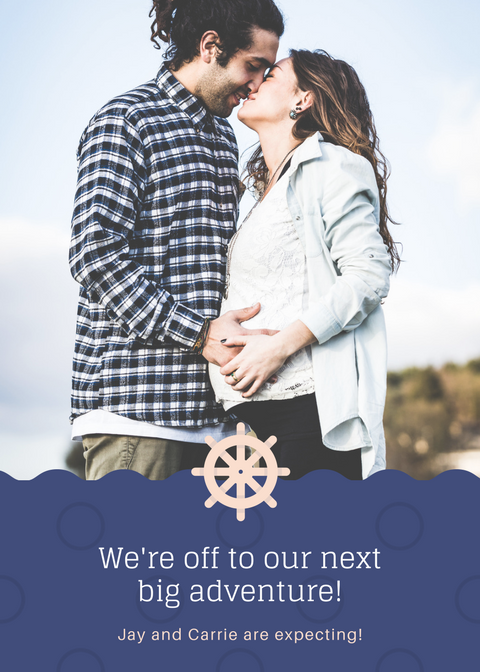 Surprise your loved ones with news about your pregnancy! 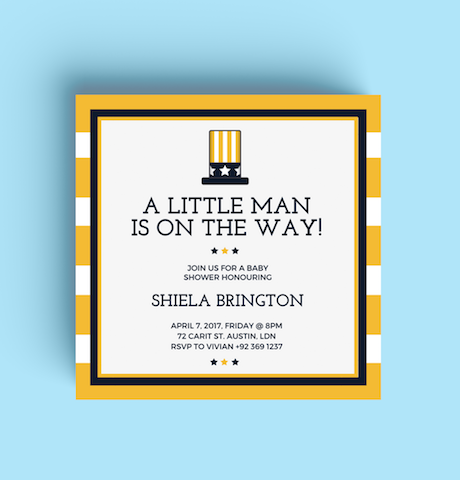 Scroll through our huge selection of great templates and designs to find the perfect announcement to suit your taste. 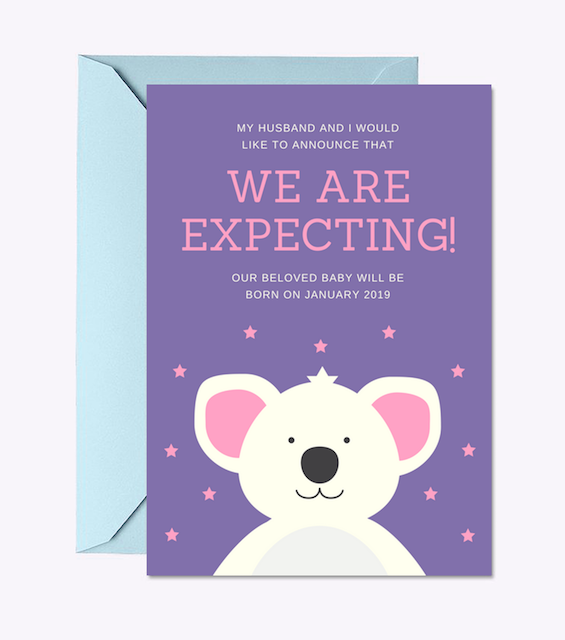 Surprise your family and friends as you break the news about your pregnancy! 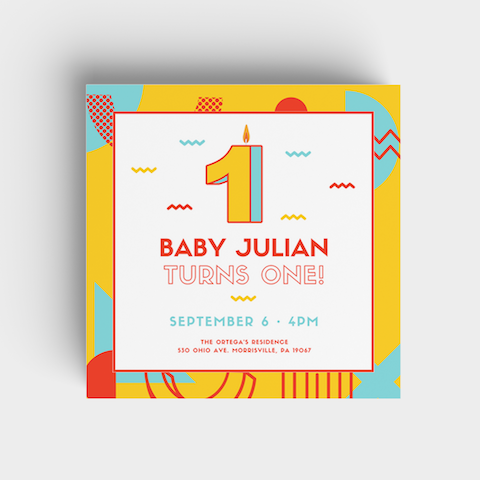 Take inspiration from our collection of excellent imagery and designs, and get ready to let everyone know about your new baby! If you can’t bear keeping the news all to yourself, then go ahead and excite everyone with the arrival of your little one! Featuring an illustrated bear and a starry backdrop, this adorable design is perfect for your needs. Take a picture of your hands making the heart-shaped sign on your baby bump and let the whole world know about your new bundle of joy. 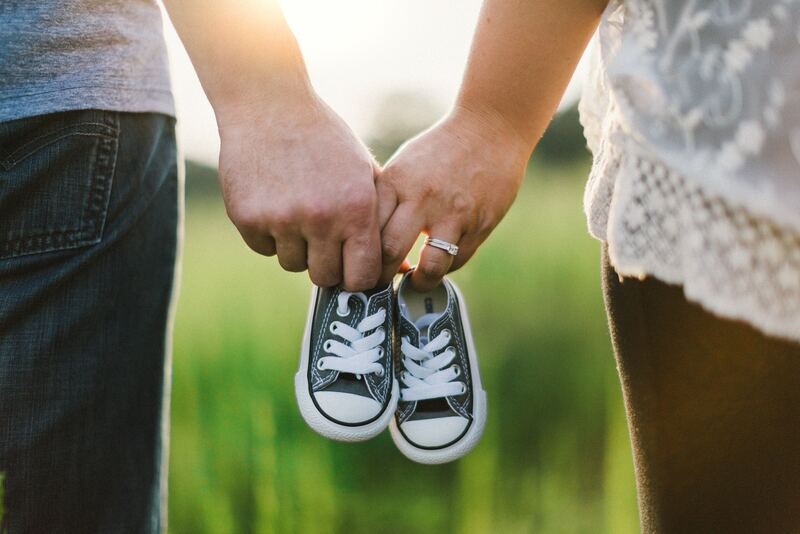 Share the joy about your exciting news with a touching photo like this one, which features parents-to-be holding a pair of cute baby shoes against a beautiful backdrop of nature. 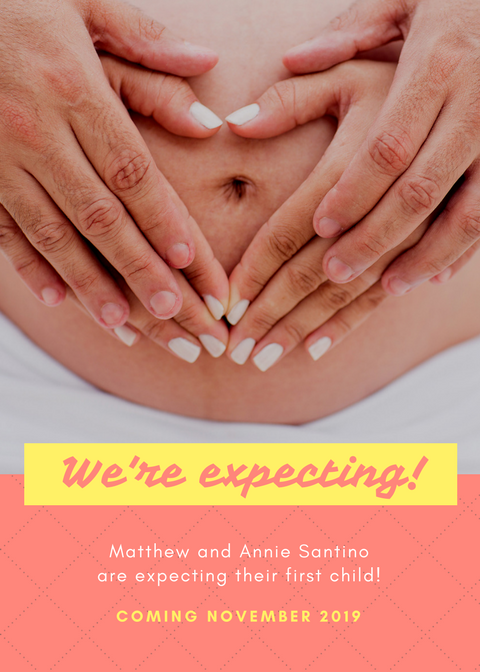 Share the excitement for your pregnancy with your family and friends! 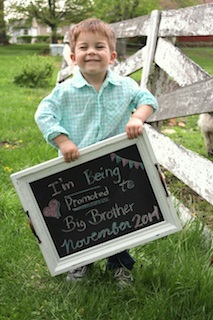 Simply snap an adorable photo of your son holding up a board that announces the arrival of your new bundle of joy. 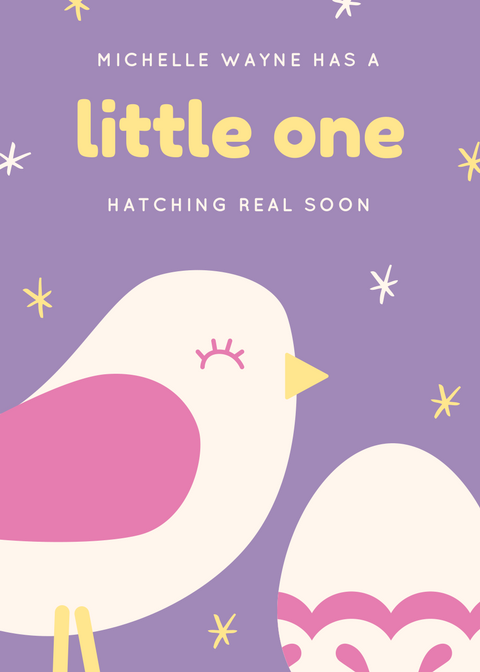 Send out this charming announcement and spread the exciting news about your new baby! With its illustrated baby and starry night sky, this design is bound to make everyone smile. 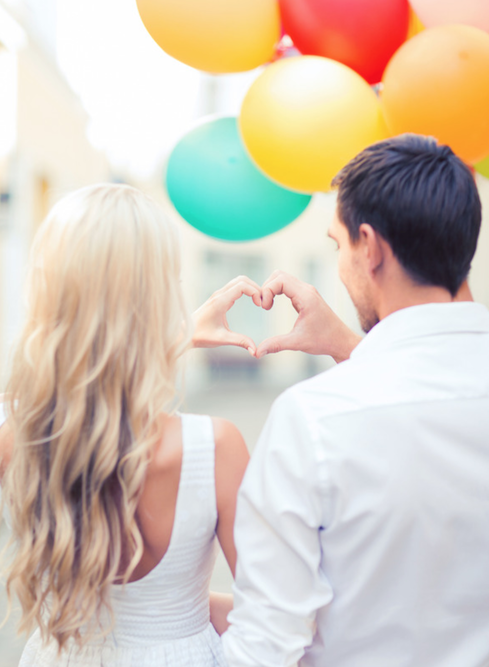 Break the big news about your pregnancy with an adorable photo of you and your partner making heart-shaped signs, surrounded with brightly-colored balloons. 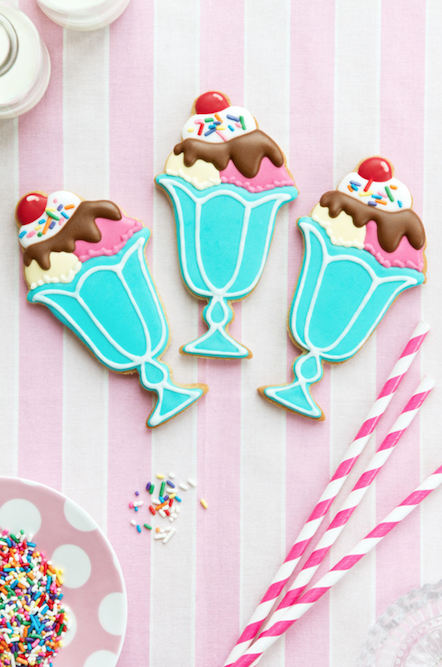 Make your get-together sweeter with cookies and sprinkles. Bake decadent cookies in the shape of ice cream sundae and invite your party guests to indulge in them! 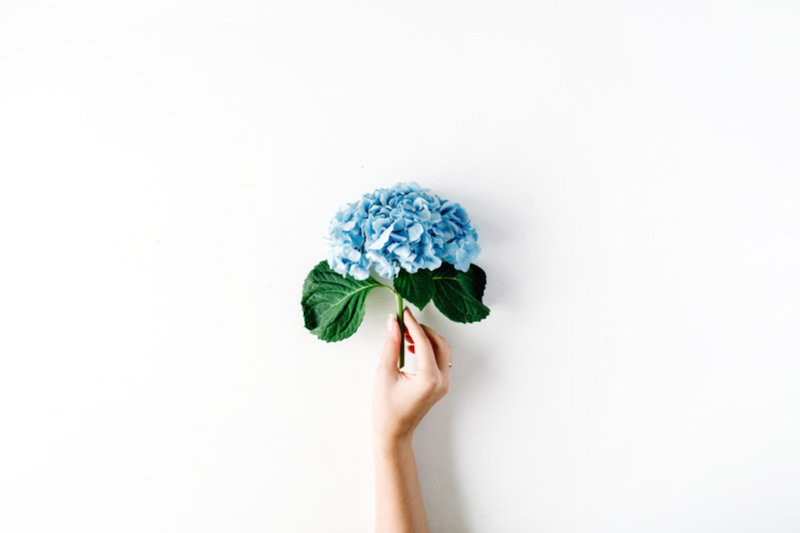 Surprise your family and friends with a classic pregnancy announcement of an ultrasound picture! Place it on top of your baby bump and make a heart-shaped sign with your hands. If you’re expecting twins, then you’ll need to make your pregnancy announcement double the fun. 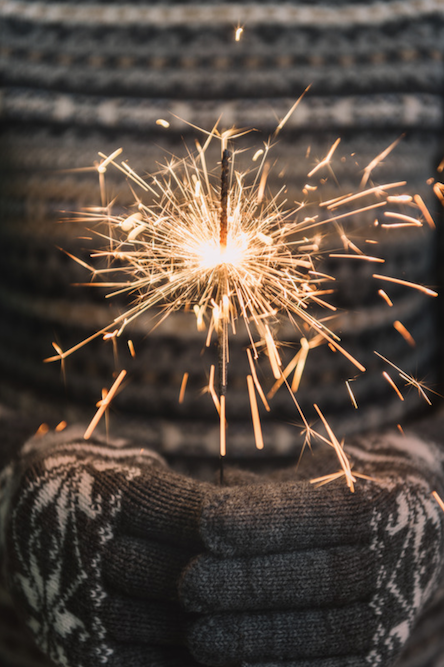 Get creative with a pair of eggs and surprise everyone with the good news. 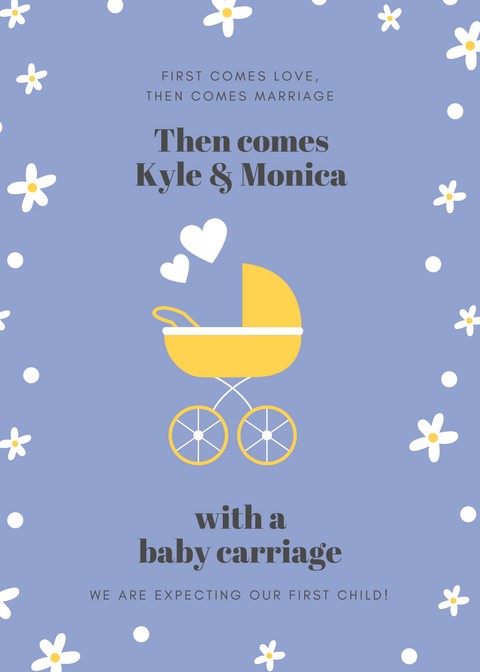 Invite your family and friends to rejoice about the ecstatic news of your pregnancy with this simple yet creative announcement featuring an illustrated orange stroller in a starry sky. 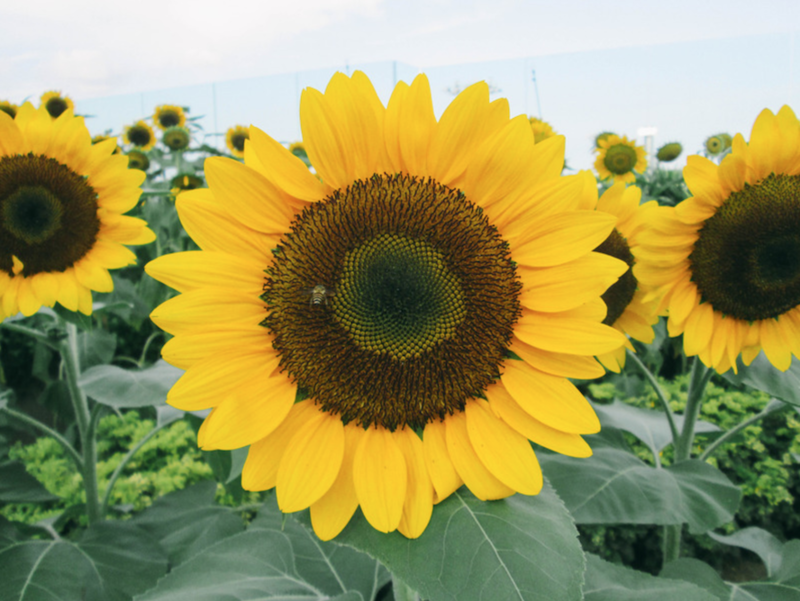 Head to the great outdoors and visit a beautiful sunflower field to celebrate the exciting news of your pregnancy with your beloved family and friends. The arrival of your baby deserves to be celebrated with your beloved family, close friends, and even your pets. 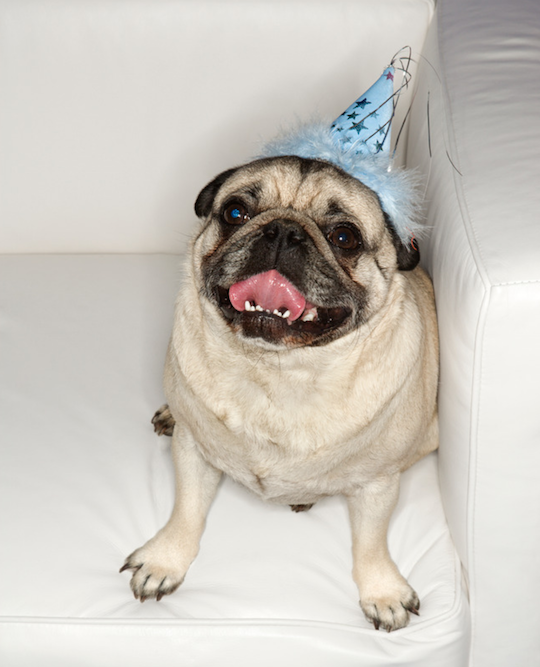 Make your furry friends wear adorable party hats to make the party extra festive! 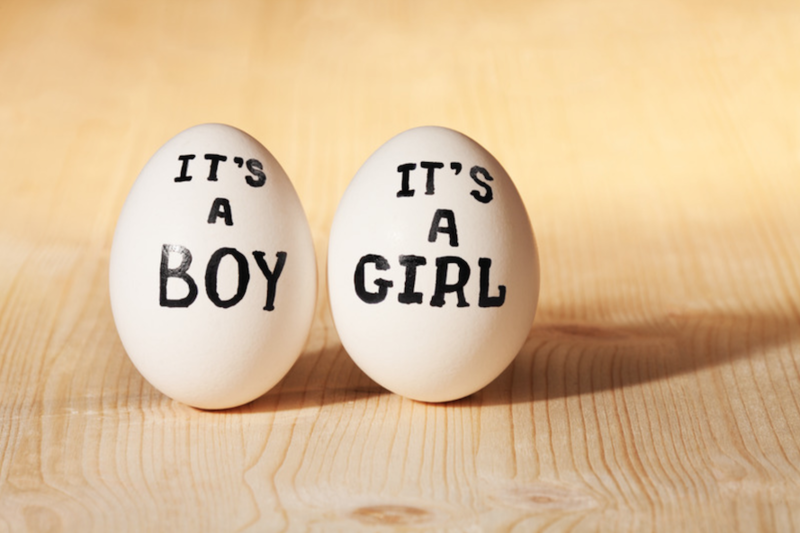 Reveal the big news about your pregnancy with this announcement! 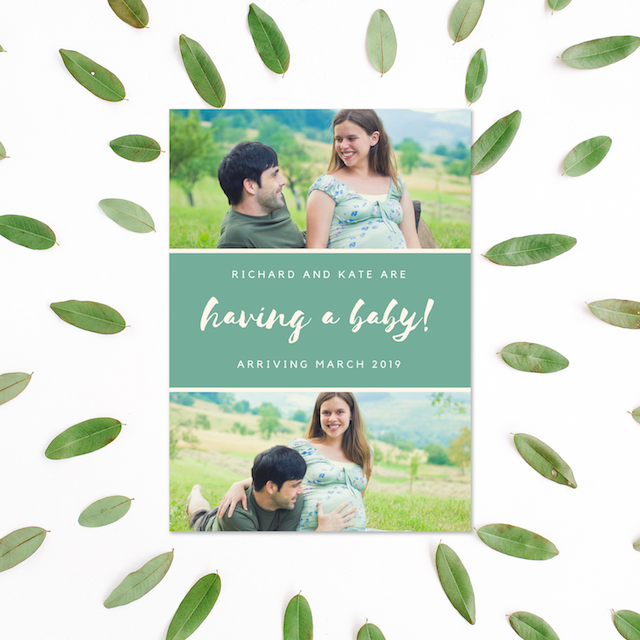 Featuring a gorgeous green hue and spaces for your photos, this design is just what you need to announce your baby’s arrival. 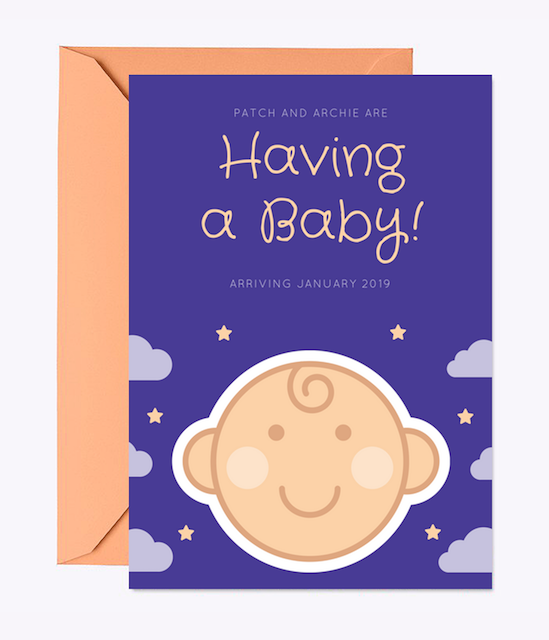 Announce the arrival of your new bundle of joy with this festive design! 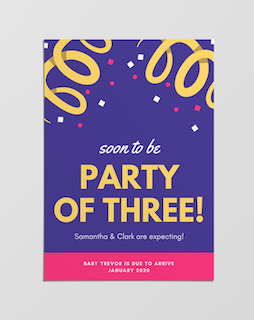 Simple yet fun, this announcement comes with colorful confetti and vibrant background colors. 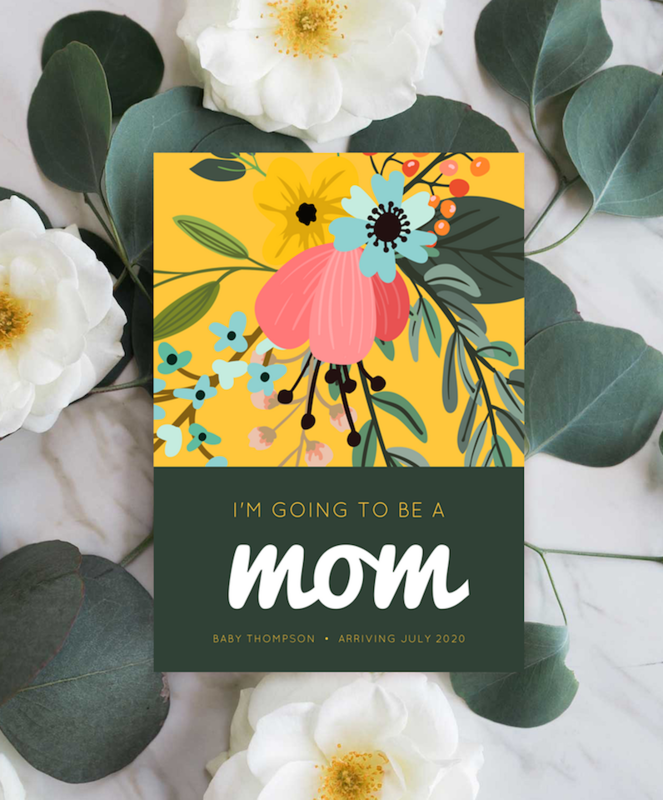 Are you going to be a mom soon? 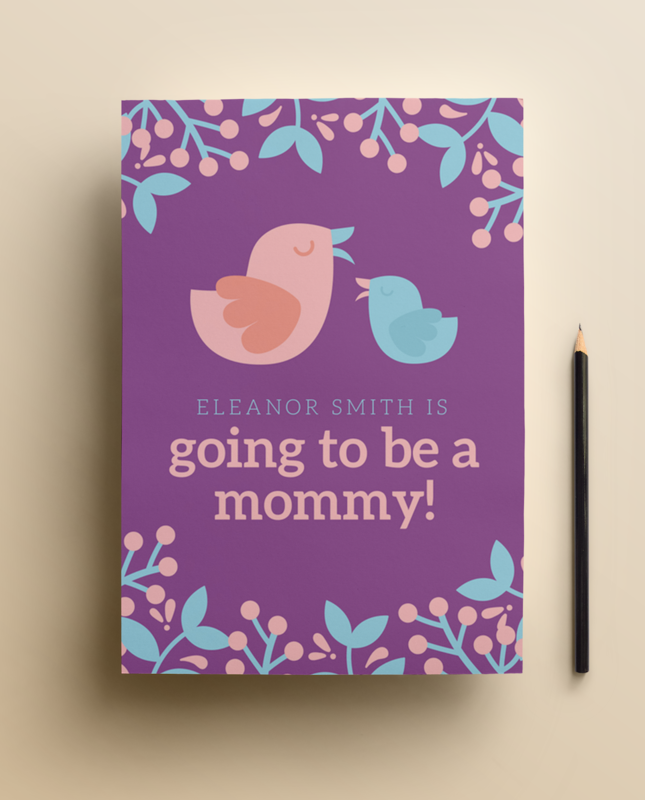 Excite everyone with the good news using this adorable announcement featuring illustrated birds in bright colors of orange and peach. 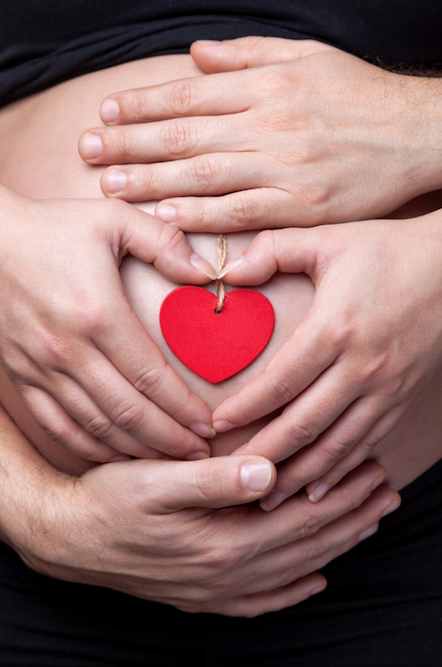 Share the excitement about your pregnancy with your family and friends! 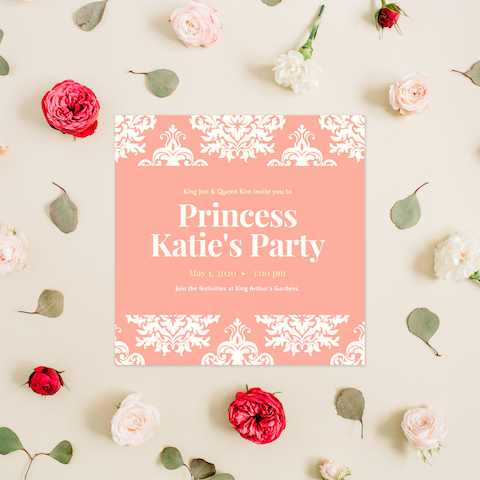 Featuring colorful illustrated flowers and vibrant colors, this pretty design will spread the great news all around. 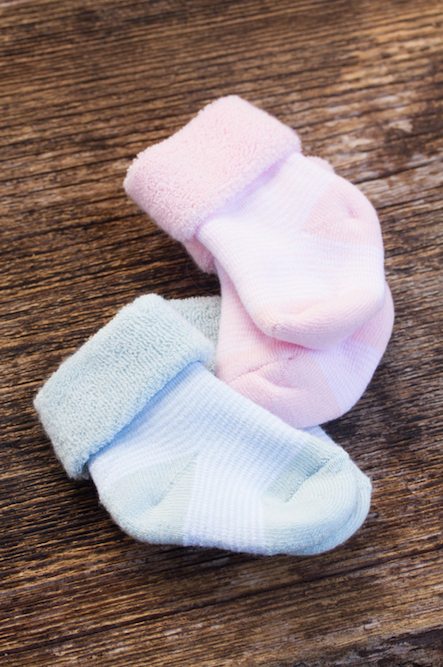 Let everyone guess your baby’s gender with itty bitty socks in pink and blue! Lay them flat on a table at your gender reveal party and have your guests pick. 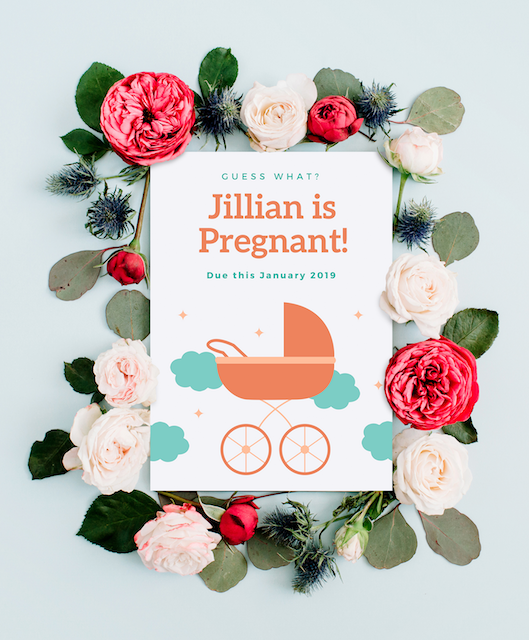 Share the amazing news about your little one in the best way possible with this beautiful announcement featuring simple borders and classic typography against a background photo of the parents-to-be! 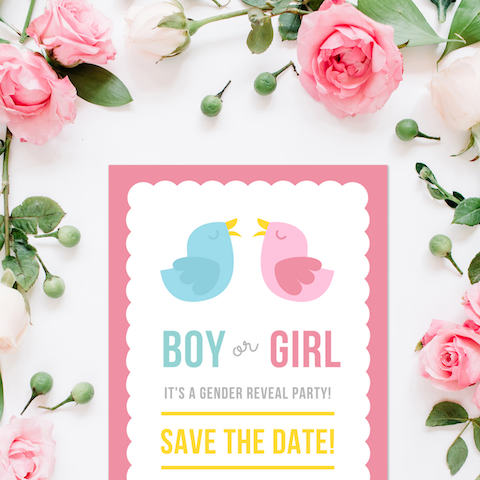 Invite everyone to make room for your little duckling as you announce the good news of your pregnancy at an unforgettable reveal party! 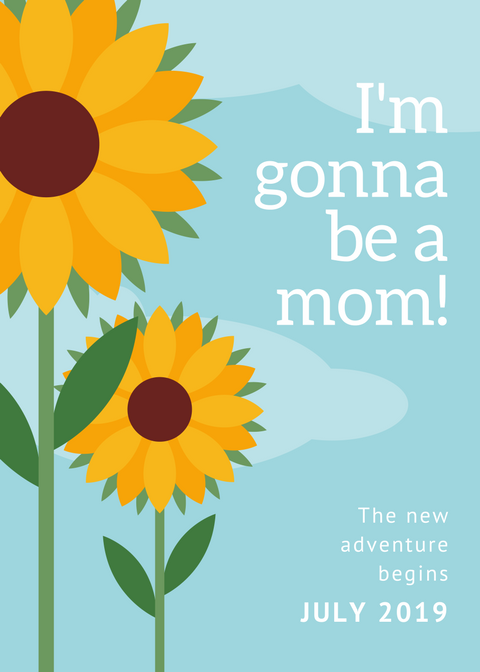 Make a huge splash and get creative with your pregnancy announcement! 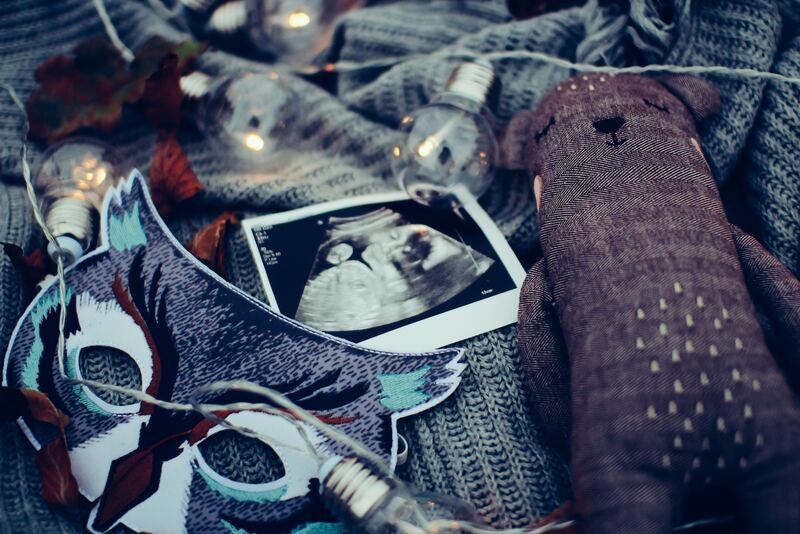 Take a cute from this adorable photo featuring an ultrasound photo, a teddy bear, a cool mask, and fairy lights. 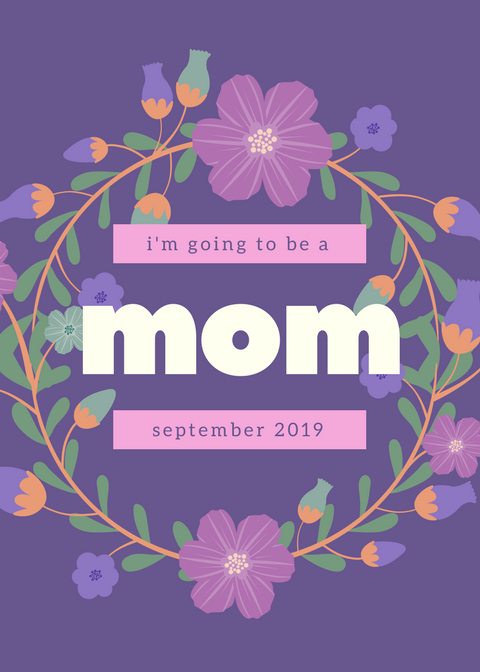 Nothing is as exciting as the news about your new bundle of joy! 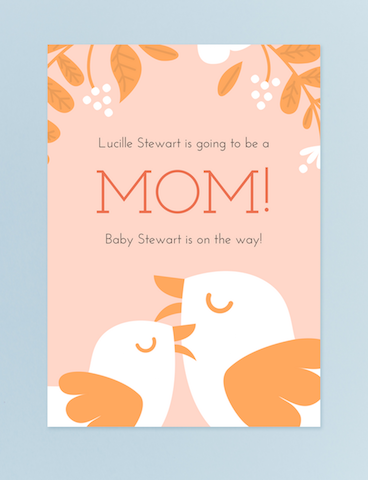 Make it extra special with this announcement featuring lovely illustrations of birds and flowers. 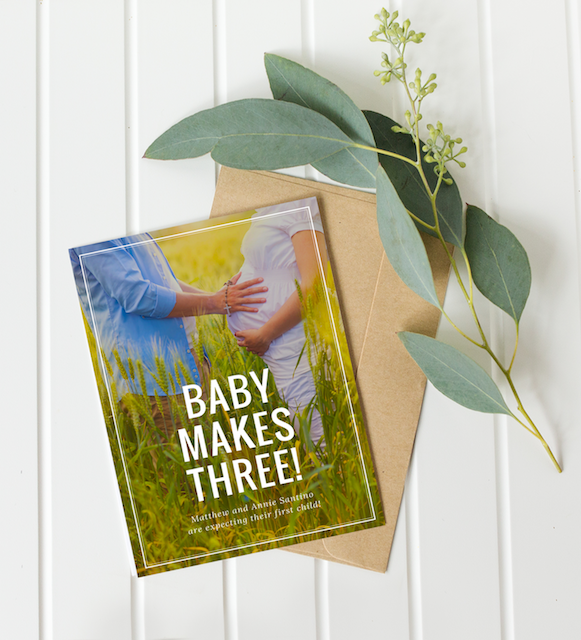 Get your loved ones as excited as you are with this adorable announcement for your pregnancy! 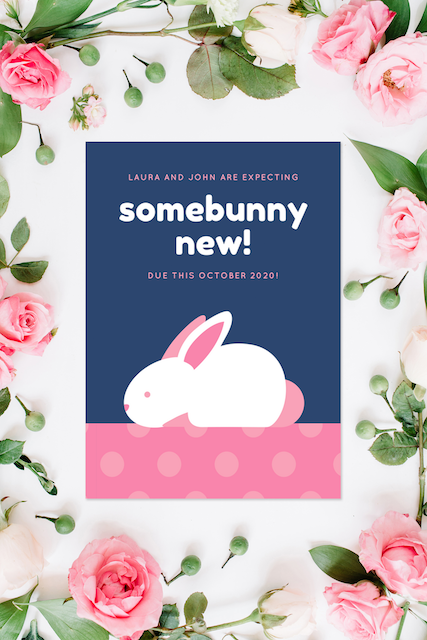 Cute and funny, this design features an illustrated bunny, pink polka dots, and a fun pun! 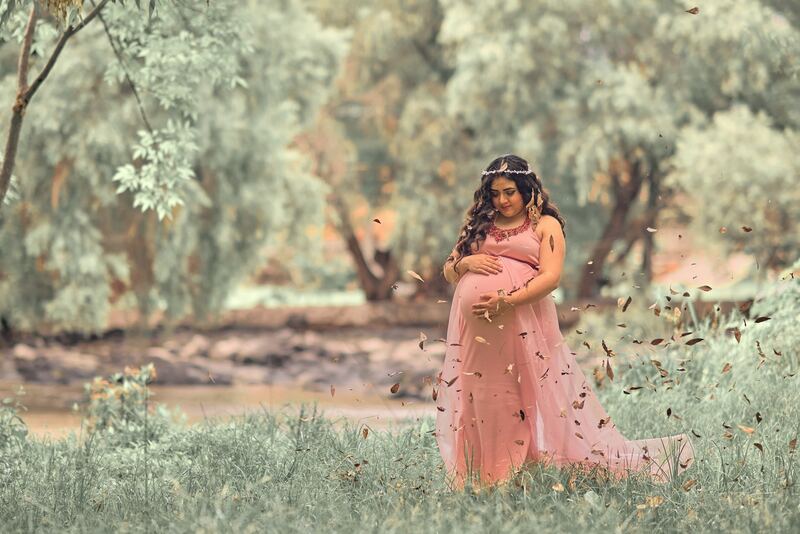 There’s no better way to welcome your new baby than with a stunning photoshoot for your family and friends to enjoy. Dress up in a gorgeous dress and head outdoors to shoot pretty photos. 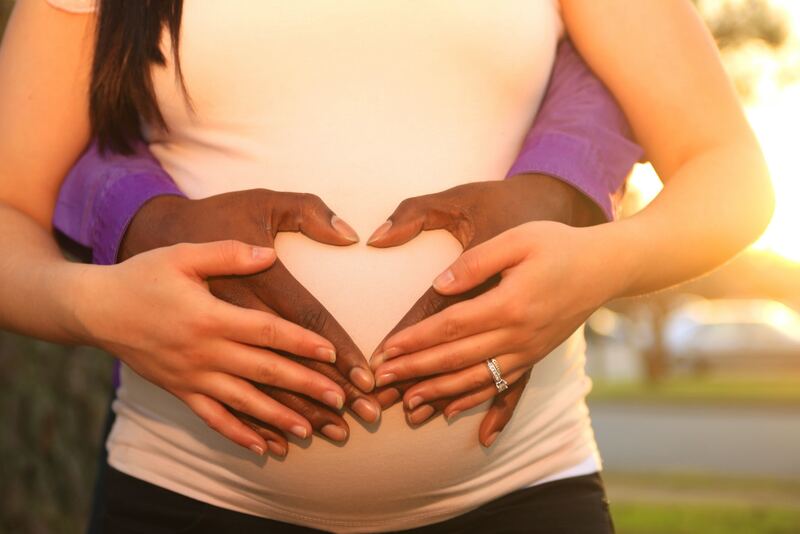 Get everyone excited about your new bundle of joy with a sweet photo of you and your beloved making a heart-shaped sign with your hands on top of the baby bump. 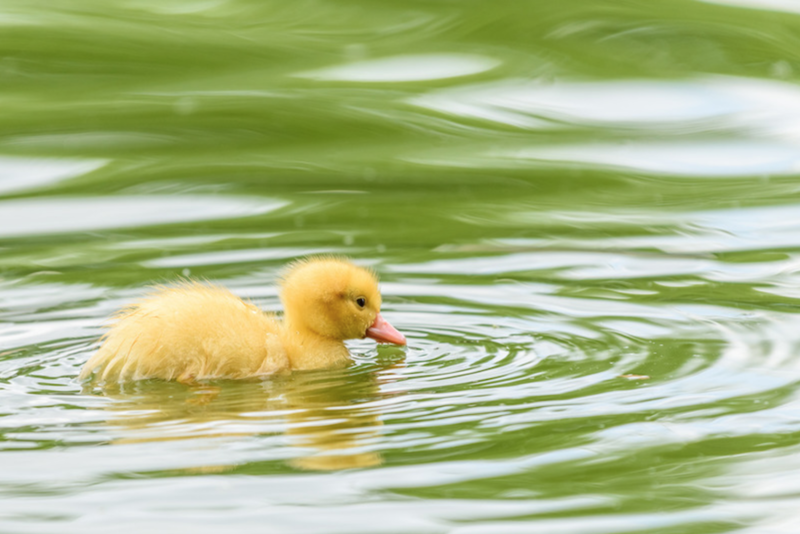 The arrival of your little one is a huge milestone that deserves to be celebrated with your loved ones. 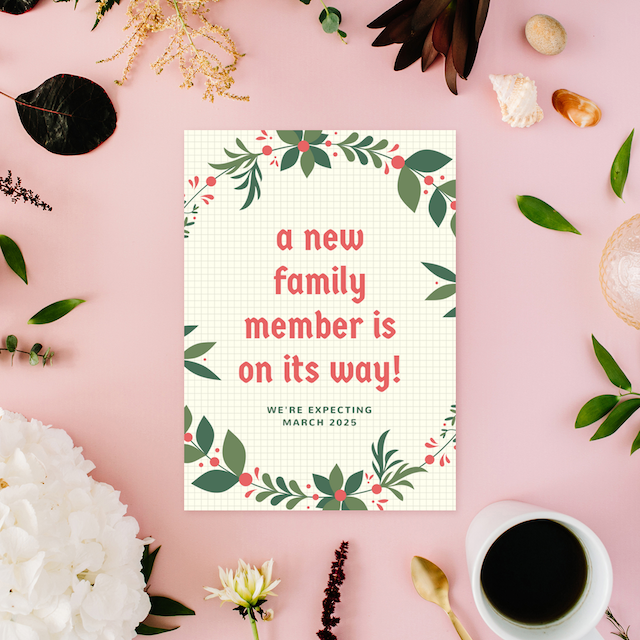 Reveal the exciting news with this announcement featuring a space for a wonderful photo of your family! 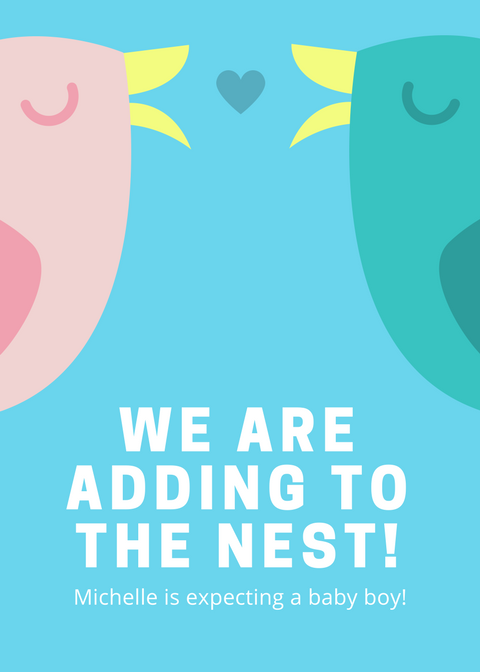 If your family is about to grow bigger, then you’ll need an announcement to break the news to everyone! This design is perfectly festive with its illustrated wreath in green and red! 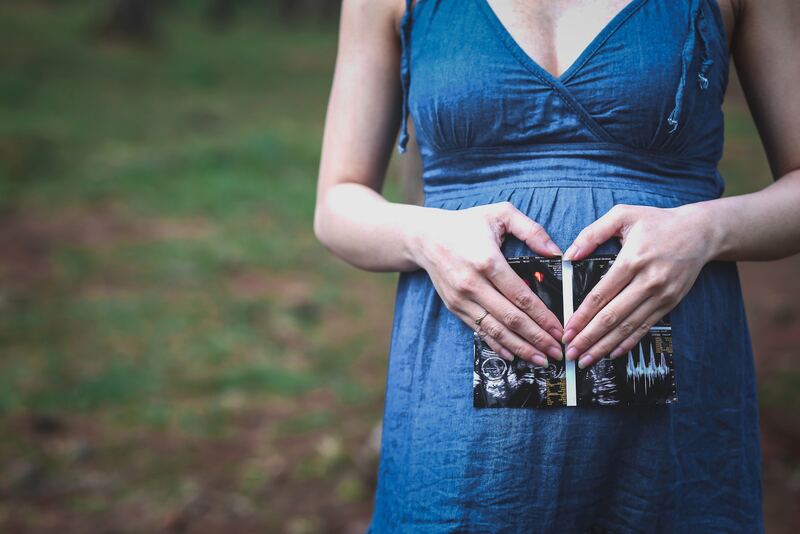 Reveal the good news of your pregnancy with a creative picture like this one! 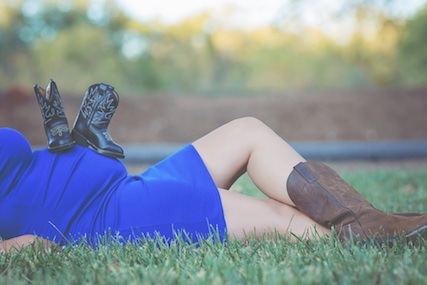 Have the mom-to-be wear cowboy boots and lie down comfortably. Then, take some cute baby boots to match! Capture the perfect moment before your family turns even bigger. 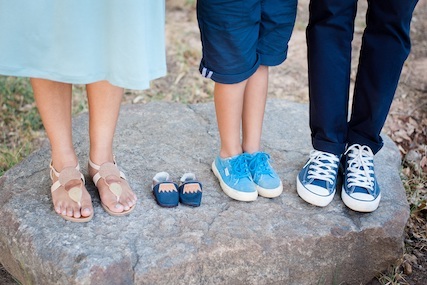 Take a photo of you with your family wearing shoes and pop in a tiny pair of shoes to represent your new bundle of joy! 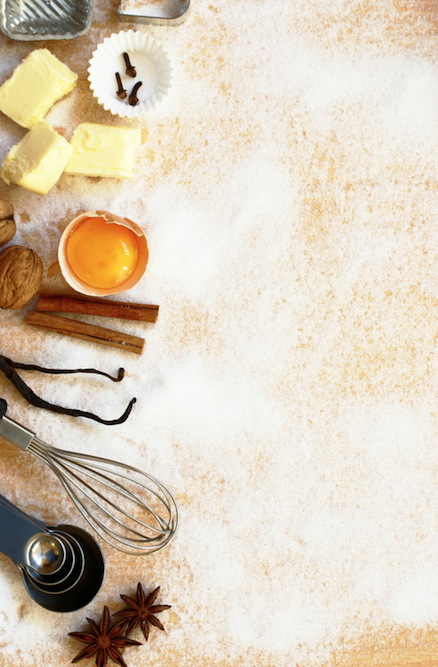 Fire up the oven and bake some sweet treats for your pregnancy announcement festivities.Feel free to shape the cookies into letters to spell out your good news! 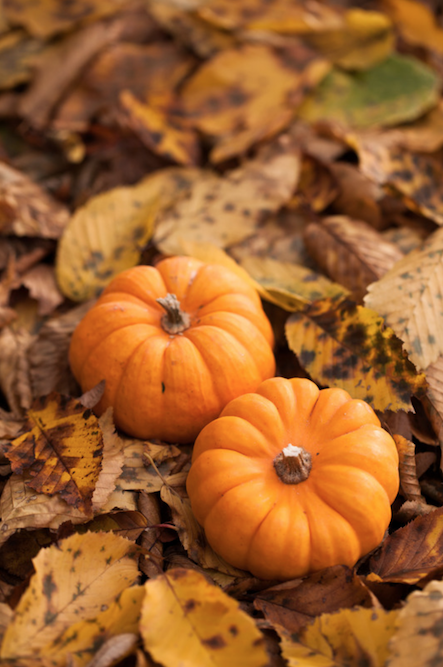 With just some vibrant fall foliage and pumpkins, you can easily make your reveal party even more fall-worthy.